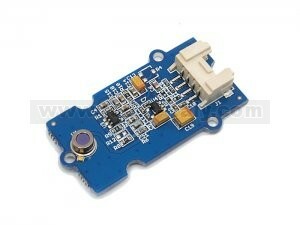 This Grove-Infrared temperature sensor is a non-contact temperature measure model. 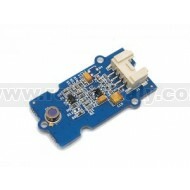 This Grove-Infrared temperature sensor is a non-contact temperature measure model. The sensor is composed of 116 elements of thermocouple in series on a floating micro-membrane having an active diameter of 545μm and with blacken surface to absorb the incident thermal infrared radiation, which induces a voltage response at output terminals.